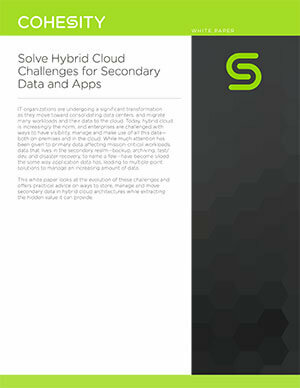 Are you looking to accelerate your hybrid cloud journey for secondary and apps? And unable to do so with traditional solutions not built for the cloud? Imagine one platform where you can manage your secondary data and apps, including long-term retention, disaster recovery, test/dev and cloud-native backup.